The next country to provide performers was New Zealand. In theory, they were representing Autumn but the connection was lost on me. Nonetheless, I particularly enjoyed the New Zealand segment. 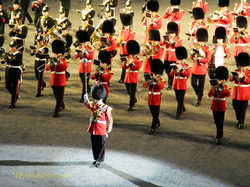 The New Zealand Army Band entered the parade ground looking much like any other military band. However, during the course of their performance, they broke into a Maori haka display and then later several of the band members broke rank and engaged in contemporary dancing complete with sunglasses. The band was joined by the Lochiel Marching Drill Team. Synchronized marching apparently became a popular sport for young women in the 1930s and the precision and unity of this team was quite graceful. Representing Winter was the Central Orchestra of the General Staff of the Mongolian Armed Forces and the Mongolian Military Song and Dance Academic Ensemble. The connection to the theme appeared to be that Mongolia can be cold like winter. The artists were attired in traditional costumes going back to the time of the great Mongol leader Genghis Kahn. While playing traditional Mongolian music, the troupe danced and enacted scenes harking back to the Mongol Empire. Fascinating. 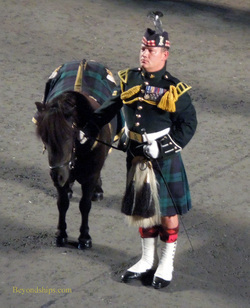 Next came the Massed Military Bands, which included bands from British military formations (The Irish Guards, The Rifles and the Royal Logistics Corps) as well as the New Zealand, Korean and Mongolian military bands that had appeared earlier. This was the type of performance most people associate with a pageant such as the Tattoo. The artists played stirring marches as well as some poignant pieces that featured solos by individual musicians. As the music played, cave-painting images of animals were projected onto the Castle. 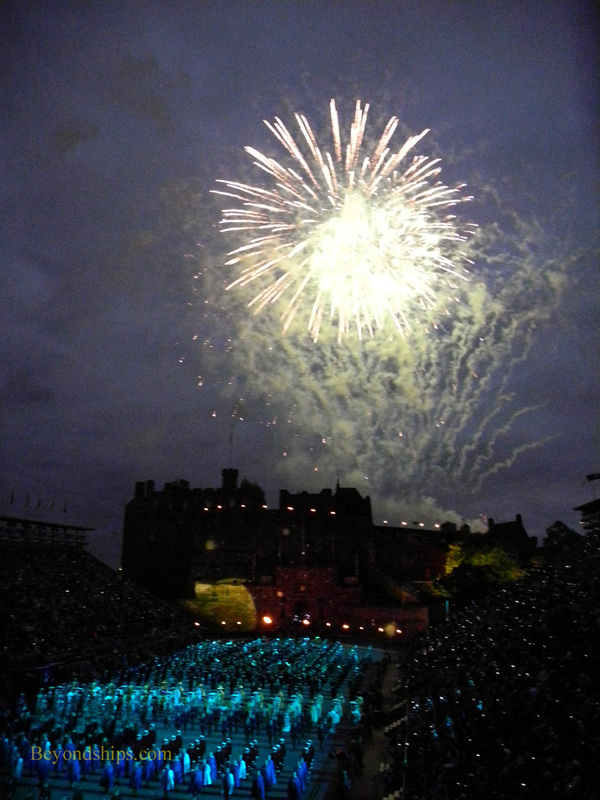 The excitement stirred up by the Massed Military Bands lay the foundation for the Grand Finale. 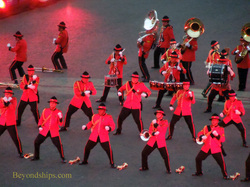 All of the evenings performers came out onto the parade ground to participate. Fireworks shot up from the Castle and burst overhead as the musicians played a medley from Gustav Holst's "The Planets." This was followed by the singing of the hymn "I Vow to the My Country" (music also by Holst). 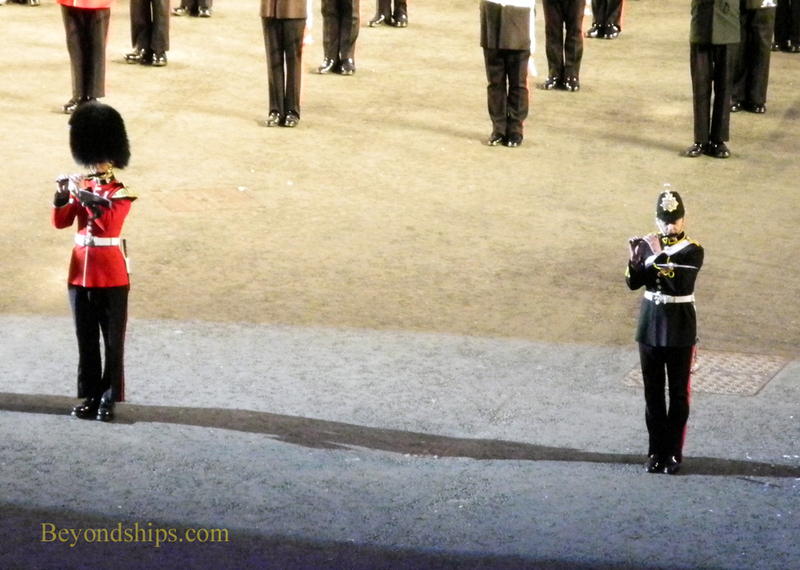 With emotions at a high pitch, the stadium went silent as the lone piper was spotlighted playing on the battlements. This was followed by the bands playing "God Save The Queen" and the singing of the traditional Scottish piece "Auld Lang Syne." 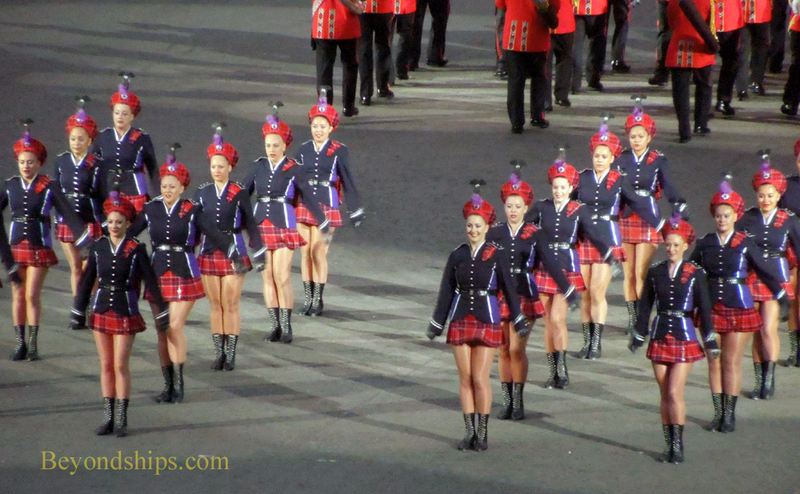 With the audience standing, the performers left the Esplanade as the pipers played "Scotland the Brave." Thus ended an evening of stirring and emotional entertainment.